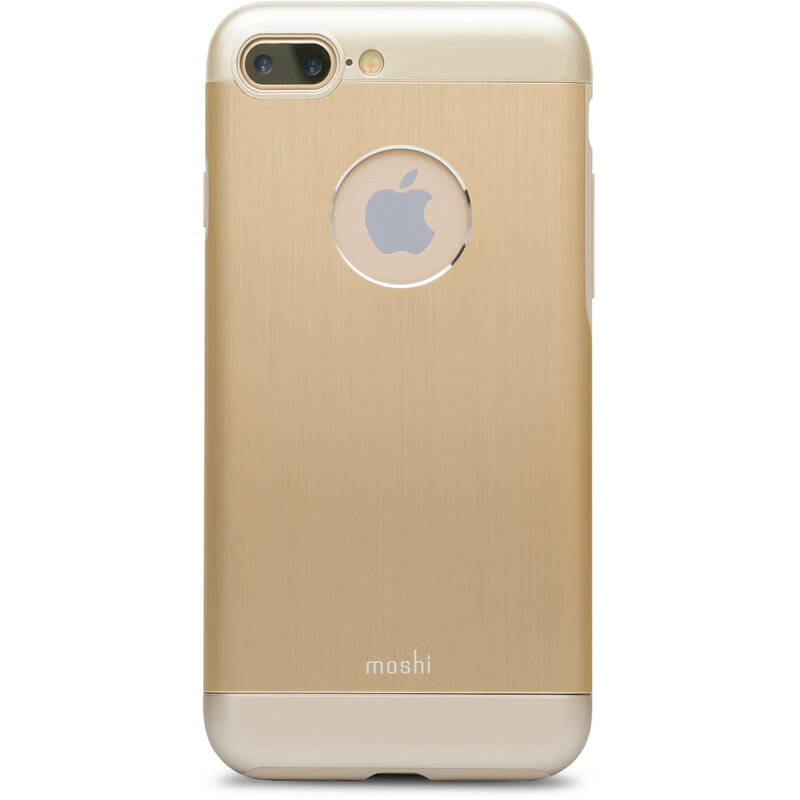 The gold Armour for iPhone 7 Plus from Moshi is a hard-shell, brushed aluminum case designed for anyone looking to add a little style and protection to their iPhone. The solid-color outer shell guards against the scratches and bumps that inevitably occur if you carry your phone around with you. The Armour does this without limiting the iPhone's features and functions. All the buttons and ports remain accessible, and there's a cutout for the camera and flash. Box Dimensions (LxWxH) 7.9 x 4.1 x 0.7"
Armour for iPhone 7 Plus (Gold) is rated 5.0 out of 5 by 5. Rated 5 out of 5 by Leonard from A touch of class that comes with good protection Like the fact that it's slim, lightweight, rather distinguished-looking and seems to provide good protection. Also that the light grey metal finish makes it easier to see on a stack of papers or other objects that accumulate in one's home. I plan to buy another one in a different color for my wife. Rated 5 out of 5 by aztrailblazer from Love this case This case is protective but very slim. Perfect for everyday use! Rated 5 out of 5 by Anonymous from I would buy this product again. This is a very stylish and durable case. Do you ship to Me?xico ? how do you buy stuff?